This is a foreign exchange guide to Mongolia, the Mongolian Tugrik currency plus MNT transfers and travel tips. Mongolian Tugrik exchange rates - latest & historic exchange rates. What is the Mongolian Tugrik currency code and symbol? The three letter currency code for the Mongolian Tugrik is MNT and the symbol is ₮. Which countries use the Mongolian Tugrik? It is the domestic currency in Mongolia. The interactive chart below shows the USD to MNT exchange rate for the previous 3 months with rate alerts for days when the exchange rate moved up or down significantly or for 30 day highs and lows. The allure of Mongolia for many is the vast emptiness of the land dotted with what remains one the few true nomadic people of the world. In the emptiness, nomadic families live quietly in gers dotting the land with their animals grazing freely. What currency can I use in Mongolia? The mongolian currency is named Tugrik (symbol: MNT). Hardly any bank outside of Mongolia will stock Tugrik bills or even coins, so that you'll have to change your money after arrival. As in any developing country, many businesses will be happy to accept US dollars or Euros. Especially in the travel industry, prices are normally calculated in dollars. Dollar bills should be no older than about 10 years, or nobody will accept them anymore. This is even the case for the big banks. The big banks in the capital offer practically all services that can be expected, including of course changing money. In addition there are many exchange shops, although those usually don't offer very good rates. Most larger shops, hotels, and restaurants in Ulaanbaatar will accept the common credit cards. To some lesser degree this is also the case in other large cities. Small shops, merchants on public markets, end everybody on the countryside will only be able to process cash. The Trade and Development Bank has put down ATMs at a few key locations in Ulaanbaatar, Darkhan and Erdenet. These ATMs accept Visa and MasterCard and work most of the time, allowing you to withdraw up to T400, 000 per day. Because most of the Golomt Bank branches are open 24 hours, they don’t have ATMs. There are plenty of ATMs in Ulaanbaatar at Khan Bank and Trade and Development Bank branches, where you can usually pull tugriks (pronounced “too-grk”) from your home bank account (depending on your bank). Khan Bank, which has branches in every aimag center, is the best bet to find an ATM outside of Ulaanbaatar. How to travel in Mongolia? Mongolia is vast country with sparse population and poor infrastructure relies heavily on air transport. MIAT, Aero Mongolia and Hunnu Air operate scheduled and charter domestic flights to 21 provinces. Most flights have their hub in Ulaanbaatar and thus, getting from one destination to another within Mongolia often requires a touchdown in UB. Traveling around Mongolia by train can be one of the most interesting and stress-free ways to visit places. It’s also the safest. Unfortunately, the routes are limited to north and south, pretty much confined to the path that the Trans-Mongolian takes from Russia to China, and they are slow. Nevertheless, they run on time, and there are some great places to see along the way. The main stops through Mongolia are Sukhbaatar (northern border), Darkhan, Erdenet, Choir, Ulaanbaatar, Sainshand, and Zamiin-Uud (southern border). In Ulaanbaatar the two main bus stations for domestic travel are the Dragon Tuv (pronounced “dargon”), which runs all the buses traveling to the west, and the Bayanzurkh Tovchoo, which runs all the buses to the east. Be sure to buy your tickets at least a day in advance for most destinations, and buy them in the morning to ensure a seat for the next day. During the Tsagaan Sar (Lunar New Year) and Naadam (summer sports festival), you should purchase tickets two days in advance if possible. Buses, because they are so large, can make the long bumpy hauls more tolerable, and they are relatively safe. Even so, they are still pretty uncomfortable by most Western standards, especially if you’re not a small person. Some have air-conditioning, and some have better heat than others. Most guesthouses and tours in Ulaanbaatar quote prices in USD, but outside Ulaanbaatar, you will not be able to use dollars. In the south is the incredible Gobi desert home to the double humped camels. 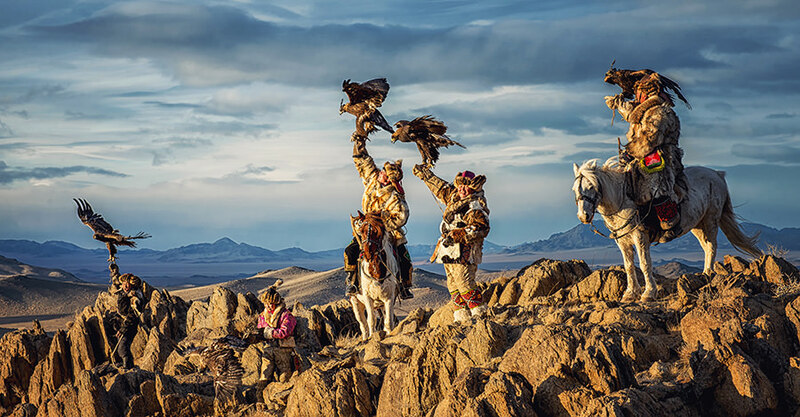 In the west are the majestic Altai Mountains, where the Kazakh eagle hunters reside. In the east lies the steppe of Mongolia with vast untouched rolling hills for miles on end. Finally, the north is home to the majestic Khuvsgul Lake and the Tsaatan reindeer herders of Mongolia. The time to visit Mongolia is anytime, but be warned, the winter is fierce and the capital city is intolerable during the winter due to air pollution. The less time you spend in the capital city, the happier you will probably be. People are much less aware of time here and locals have a very relaxed attitude about it. If you need something urgently, be sure to stress a little otherwise whatever you need could be a few more minutes/hours than expected. With a population of less than 3 million people, (half of which are found in the capital, with the remainder scattered around the countryside) this is one of the least populous places on Earth. 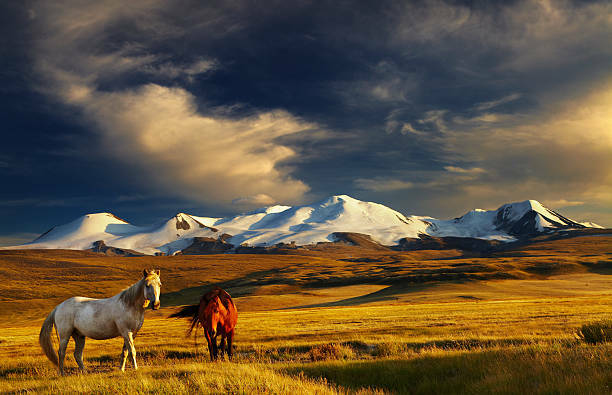 There is nowhere quite like Mongolia. Save money and time by Ordering your Mongolian Tugrik online from Travelex, you get better rates and can pick up the MNT cash locally or even on travel day at the airport. For card purchases if offered a choice of currencies always select to Pay in Mongolian Tugrik otherwise you may get much worst exchange rates. Compare MNT travel cash rates - probably why you are here! When searching around for information on how to get a good exchange rate when sending money to Mongolia you need to start with finding out the latest Mongolian Tugrik foreign-transfer exchange rate. Once your funds are received by the provider the converted MNT amount will be transfered to the recipient account you specify in Mongolia. Use our Send to MNT calculator to compare the exchange rates of FX specialist providers rates versus your bank's standard rates you can hopefully save around 5% and maybe more - end result is more Mongolian Tugrik deposited into the recipient bank account and less margins and fees kept by the banks!